LinkNYC installs first urban smart structures. Just in time to close out 2015, New York City began installing the first gigabit Wi-Fi access points constructed by our partners at CIVIQ Smartscapes. This initial phase of the project aims to install 500 structures by mid-July of 2016. 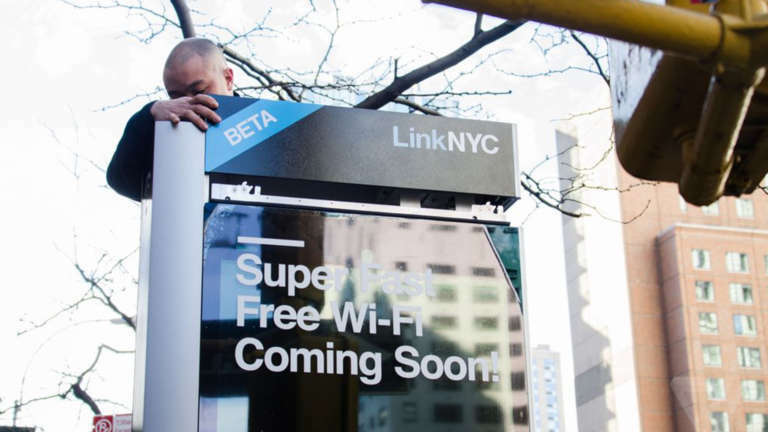 Once the full network of 7,500 structures are installed, LinkNYC, with CIVIQ's help, will be powering free public Wi-Fi access, USB device charging, and touchscreen web browsing across NYC. The structures also have the ability to monitor traffic, weather, and air pollution while offering convenient access to 911 and other emergency services. Plus, the two 55-inch advertising screens have the potential to generate more than $500 million in revenue over the next 12 years. Cinco and CIVIQ have been working together over the past year to develop their brand, messaging platform, and web presence to support their influence on smart cities worldwide. Up Next Meet HORA: A smarter light for a smoother day.